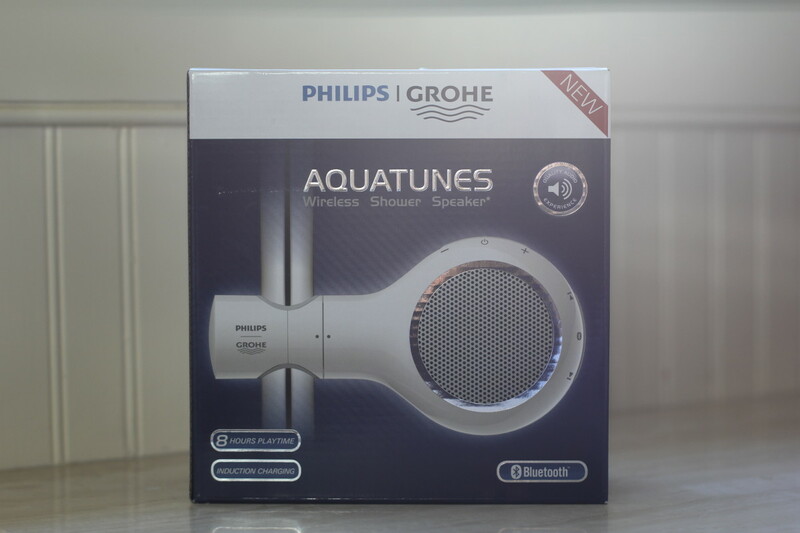 If you like singing in the shower like I do, you&apos;ll love the new Aquatunes, a wireless Bluetooth shower speaker developed in a collaboration between GROHE and Philips. It&apos;s engineered to be one hundred percent waterproof, even withstanding constant jets of water. Waterproof and durable are a mom&apos;s two favorite words, aren&apos;t they? 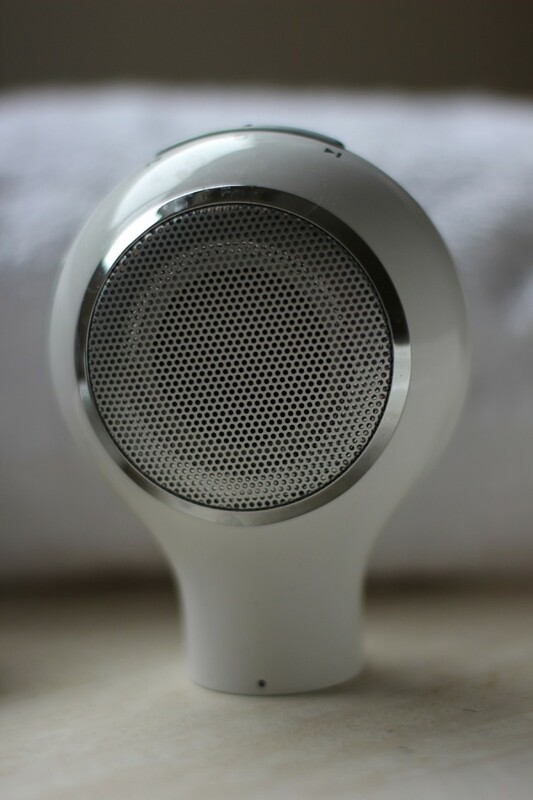 Aquatunes can be mounted inside the shower on a rail set or used as a stand-alone speaker, the way I&apos;ve been using it (no rail set here). The Bluetooth range of 25 feet means that the audio source, like my iPhone, can remain in the distance where it&apos;s safe and dry. 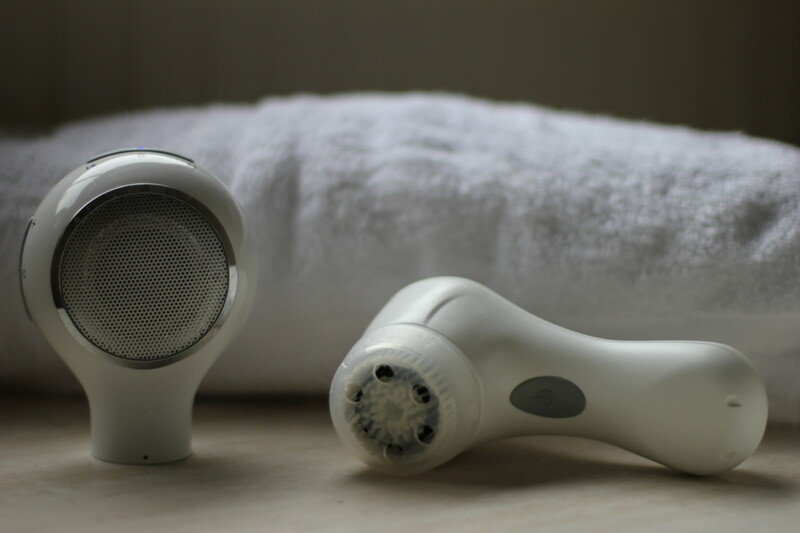 The speaker with a water-resistant induction charging station that allows it to operate even during recharging, so I can still listen to music while I&apos;m brushing my teeth or applying makeup. Aquatunes is easy to set up, charge, and use. I didn&apos;t even need to look at the instructions. I love the sleek look of it and that it&apos;s compact. We&apos;ve even been using it by the pool. Because it&apos;s so durable, I don&apos;t mind the kids playing with it and taking it into their bathroom. The sound quality is surprisingly good and LOUD! Just how I like it when I&apos;m listening to my latest favorites like this. Good music can really set the tone for a good day or night. I love my Aquatunes and highly recommend it. At a price point of less than $70, it&apos;s a fun gift too.